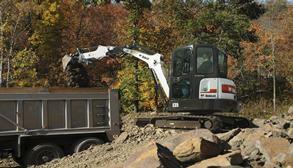 If you can backfill quickly, you’ll save valuable time on your jobsite. 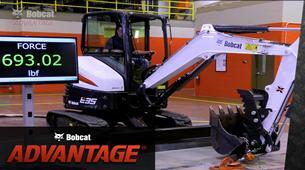 Bobcat® compact (mini) excavators can put more power to the ground when you engage your tracks. 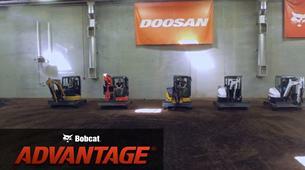 Caterpillar®, John Deere®, and Kubota® try to keep up, but Bobcat excavators are simply faster. Watch the test to see for yourself. 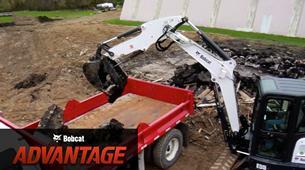 When it comes to backfilling faster, hydraulic horsepower makes all the difference. 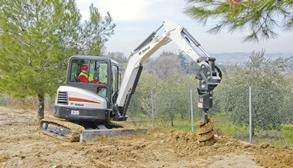 What brand of excavator can backfill the fastest? Watch the test results. 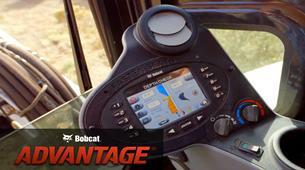 Bobcat excavators put more power to the ground when you engage your tracks. They effectively transfer horsepower better than any other brand. 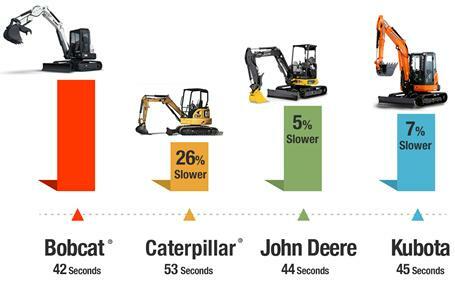 Caterpillar, John Deere, and Kubota try to keep up, but Bobcat excavators are simply faster. 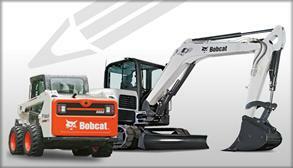 In head-to-head tests, Bobcat outperformed other brands by up to 26 percent. 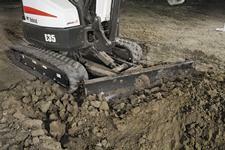 Simplify grading, leveling and backfilling. 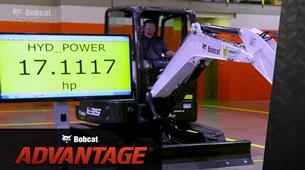 Blade float exerts a minimal, consistent down-force on the blade, with minimal operator input. 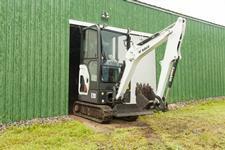 Compact excavators have always had backfill blades for backfilling, but the angle blade option gives you more flexibility. It provides simultaneous up/down and angle adjustment, up to 25 degrees left or right. 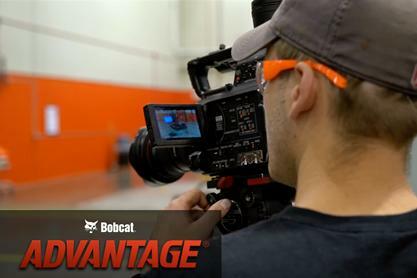 The Bobcat bolt-on replaceable cutting edge that is easy to rotate and simple to replace, providing lower operating costs. 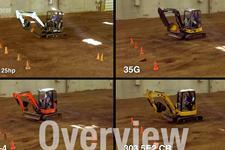 When you’re shopping for a new machine, it’s easy to compare specs. After all, that’s the best way to compare machines, right? Not quite. With specs, you’re only getting part of the story. 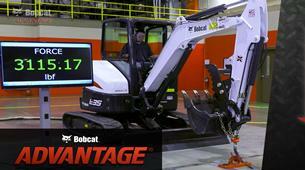 They don’t measure real machine performance on your jobsite and that’s what matters most. It’s the reason we put top brands through the paces with fair, accurate, and repeatable tests. Watch to see how we developed the tests. 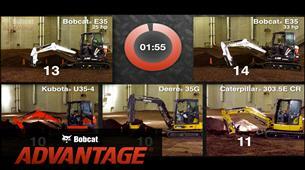 Are You Losing Time Checking Dig Depth?